Tired of the dri-fit, weather-proof, stretch fabric trends of today? We are pleased to offer old-school satin jackets for sale. 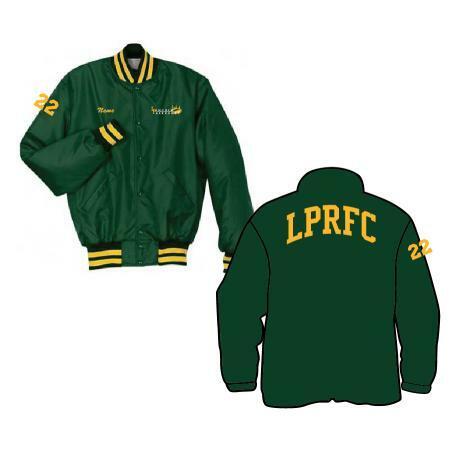 These jackets will feature embroidered club logo and your name on the front and stitched number and LPRFC on the back. Order time is expected to be 3-4 weeks and this will be available until March 20th for order. Please use https://www.bsnteamsports.com/login/stein2HZ to make your order.